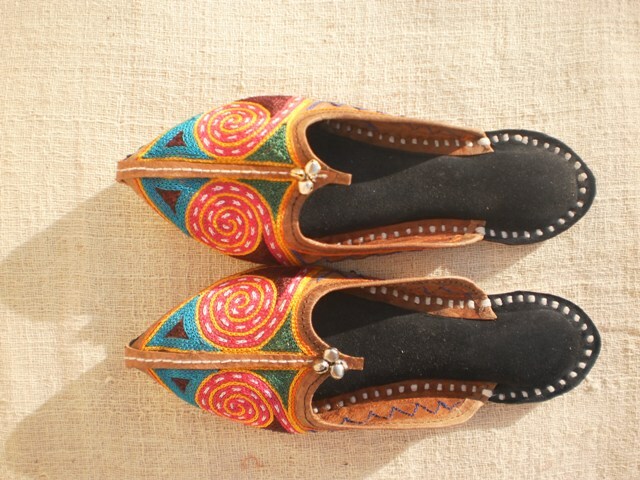 Bikaner has a special kind of hand embroidery called Bharat that means-to fill up. 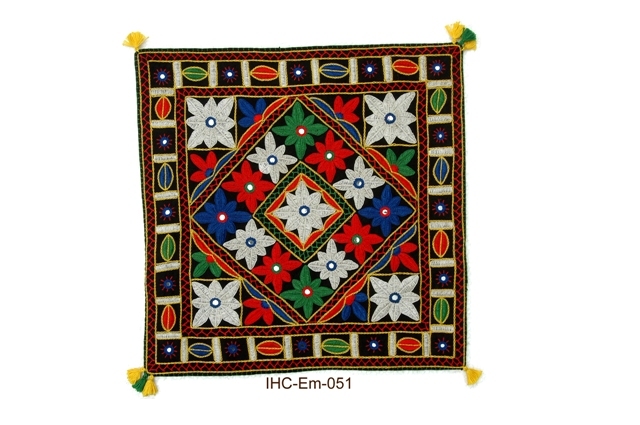 On a plain piece of cloth different motifs are embroidered with colorful threads and sparkling mirrors are fitted with them. 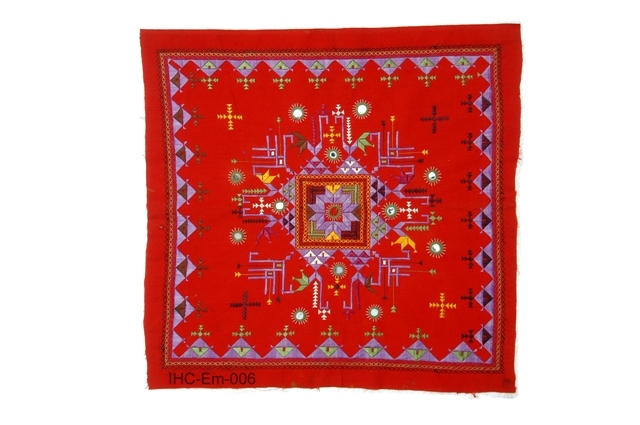 The motifs are known as Soonf, Pakko, Kharakh, Kannro and Kambhuri etc in the local language of the people here. 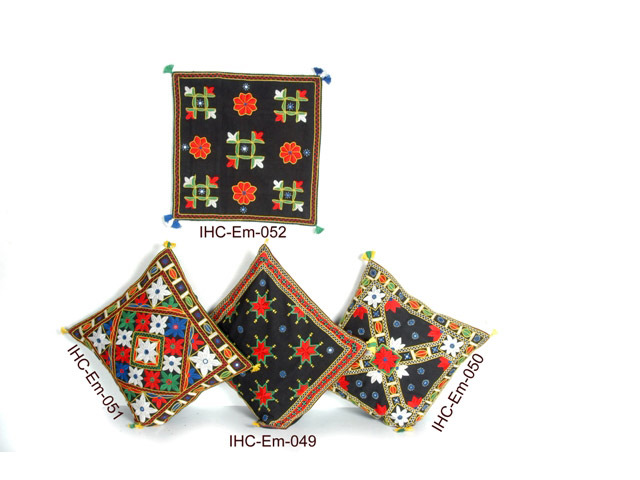 Traditionally this craft was applied by the women here to adorn their personal costumes-Ghaghra, choli, Odhna, and Rumal, (hankies), decorative scarves, bed spreads, pillow covers etc to be gifted to their daughters on the occasion of their marriage. By seeing the craft one can feel the natural beauty of life, creativity, stability and culture. By this craft we are making hand embroiderd costumes of modern designs for women and children and decorative soft home furnishings. Please e-mail me to have pictures of our whole range in it and the prices. 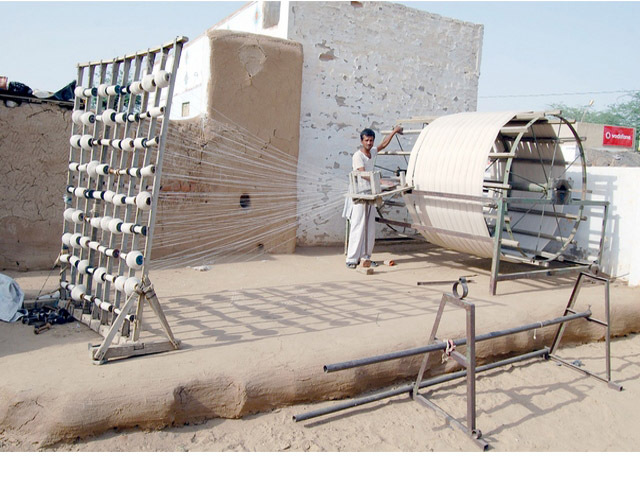 The spinning is an ancient craft which was once revived by Mahatma Gandhi to teach the poor people of India the reason of their poverty and suggested it as a tool to eradicate it. Spinning means making threads by raw cotton or wool. 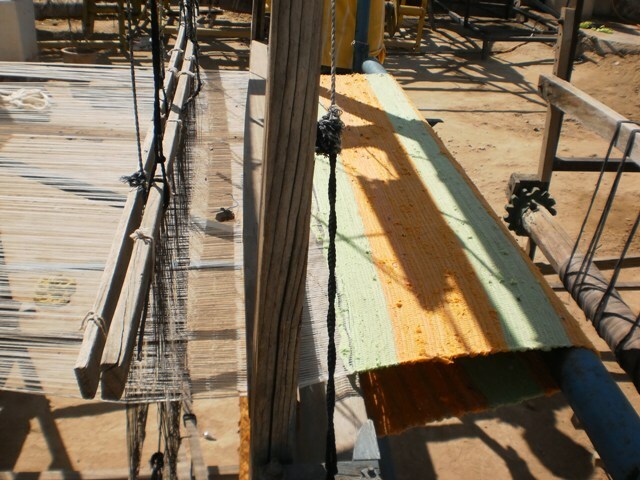 It is then used to make a fabric. It was a common practice in the villages of India that every woman would do spinning at her home with the tool Charkha (the spinning wheel). It is still practiced in some villages but mostly vanished by Industrialization. Lack of work has become the reason of their poverty and to eradicate this we shall have to re-adopt spinning tool- the Charkha, as a symbol of non-violent self reliance, whatever work we may do to get it, not necessarily spinning. Hand weaving is an ancient fabric making craft as well as the spinning for thread making, for which India was known in the world. 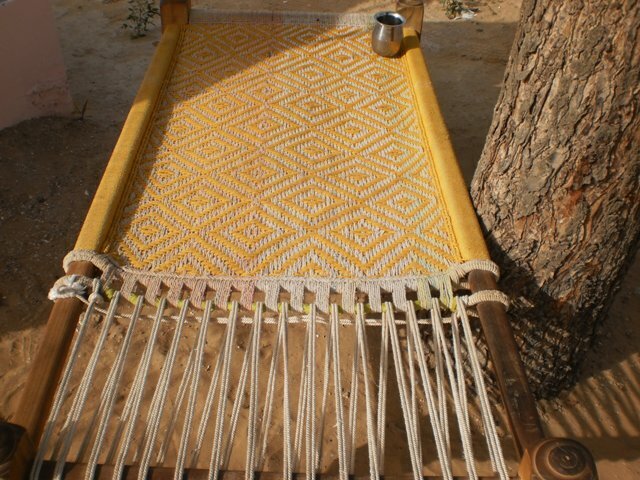 Hand weaving is still practiced in the villages by the people from Meghwal community, who have been traditionally making cloth for the society as the Kumhar (potter) community has been making clay pots for the society. 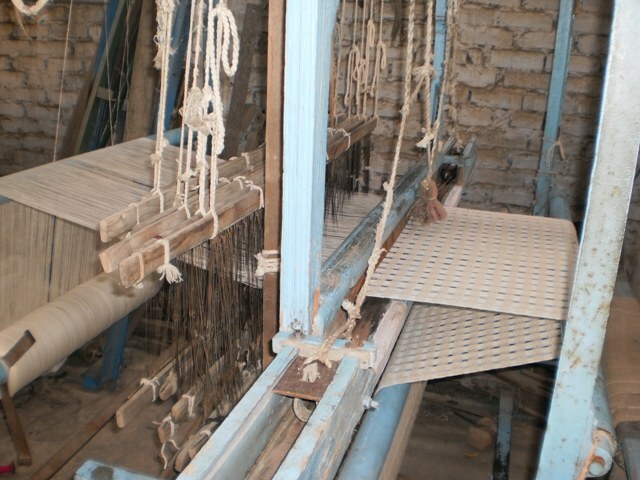 There are two sectors in the field of hand weaving, one is Handlooms and the other is Khadi. 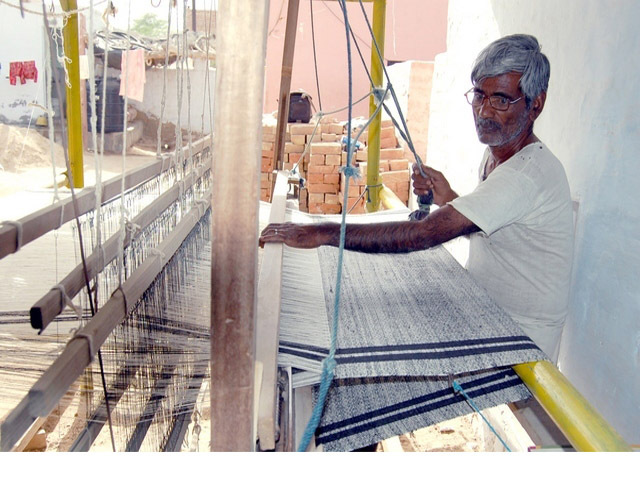 For making a handloom fabric, threads are taken mill made and weaving is done by hand on a handloom at the weavers home. 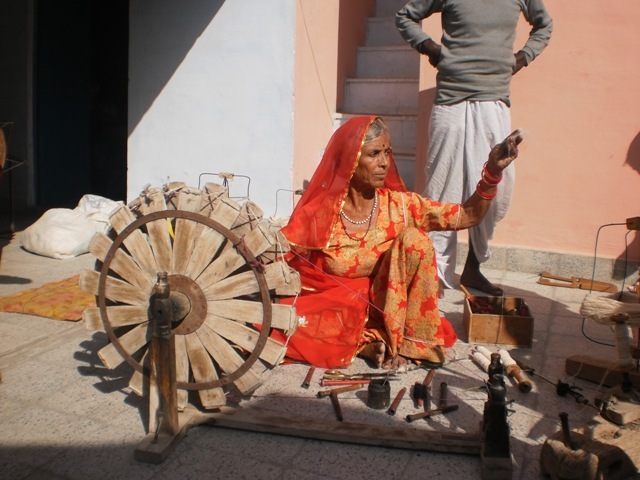 In Khadi, the threads itself for weaving the fabrics are hand spun at home by the Cahrkha (spinning wheel). Khadi was once revived and promoted by Mahatma Gandhi for non-violent resistance of industrialization and the unemployment generated by it. That’s why he said “Kahdi is not a cloth but thought”. Since then there are many Khadi organizations working in India for production and sell of Kahdi for the benefit of artisans and the whole society in its broad sense. Khadi is known in India by everyone as a way of life, may not be in the new generation but surely it is in the previous generation. 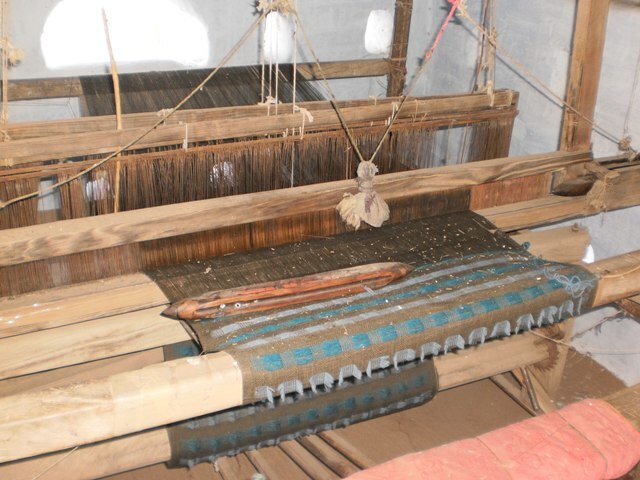 The Khadi cloth has a very natural texture and feel. Many beautiful textures are possible to be made in a Khadi fabric, even in small quantities on a Kargha (handloom), which otherwise is not possible in big machines without going for a big quantity and huge investments. We at HASTSHILP, make Khadi and handloom fabric costumes & accessories for Men, women, and children, in cotton and woolen materials, and also the soft home furnishings & artistic Durries (floor coverings). Please e-mail me for pictures of our range in any of the above classes and prices. 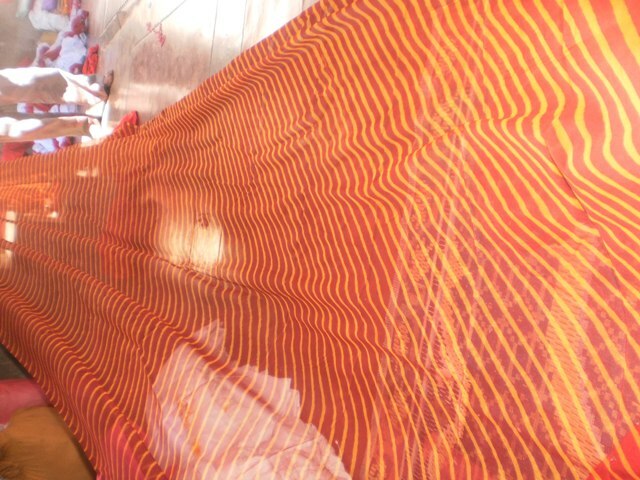 On a thin cloth of cotton or silk various colors come together so naturally by this craft called Bandhej (tie & dye). 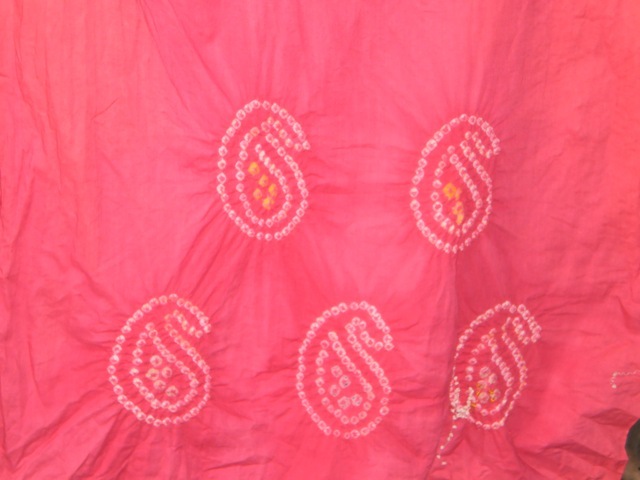 The cloth is first tied and then dyed and some times dyed then tied and then re-dyed to get the Bandhej design of dying. Traditionally this craft is applied to dye costumes for Rajput women. 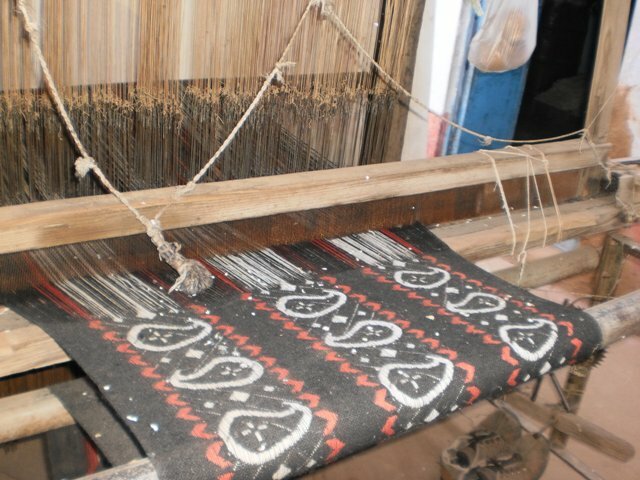 The various dying designs in Bandhej are called Bhandhej itself, Laharia, Batik, Shiboori etc. These women wear Ghagra, choli, odhna etc dyed in all these Bhandhej designs and colors according to seasons. Like deep colors in June-July, Light colors in August-September and yellow, pink & white colors in March-April. March-April is the autumn here and called Phagan and the dresses worn in this season are called Phagnia. 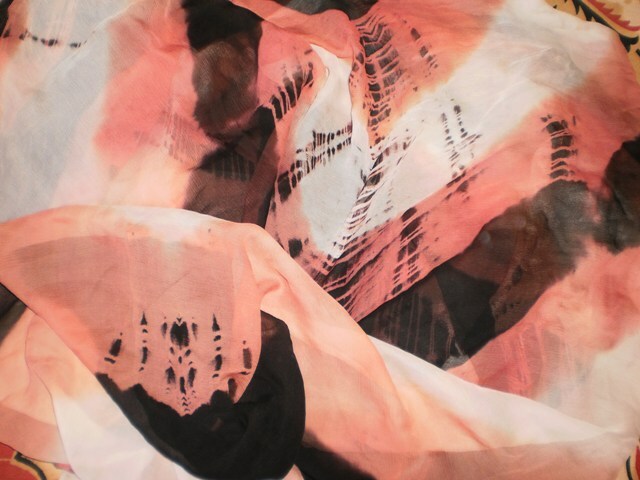 We make all modern dresses for woman, with chiffon and cotton fabrics and dyed with the tie and dye (Bandhej). Please e-mail me for pictures and prices of our range in tie & dye. 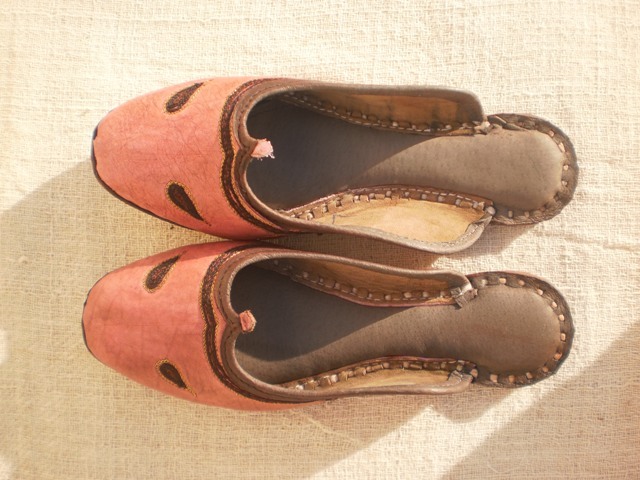 The shoes crafted in leather are called Mojari. Traditionally the leather craft Mojari is done by Mochi community here like clay pots by Kumhar community and fabrics by Meghwal community. 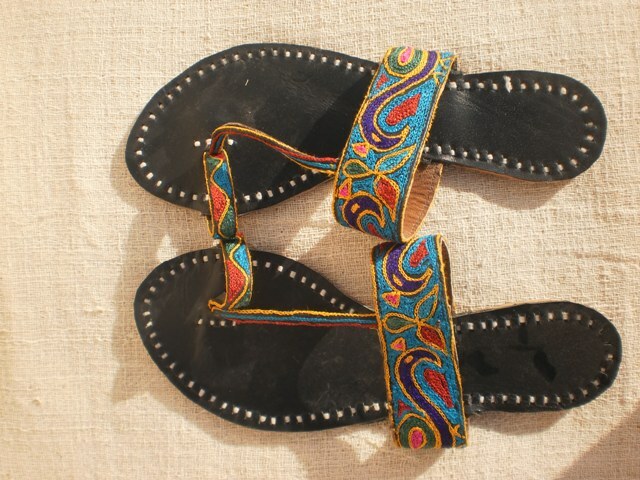 Now along with Mojari shoes for man and woman, the artisans with us make a wide range of sandles, purses, bags, belts etc. equally well crafted in cow leather. Please e-mail me for pictures and prices of them. 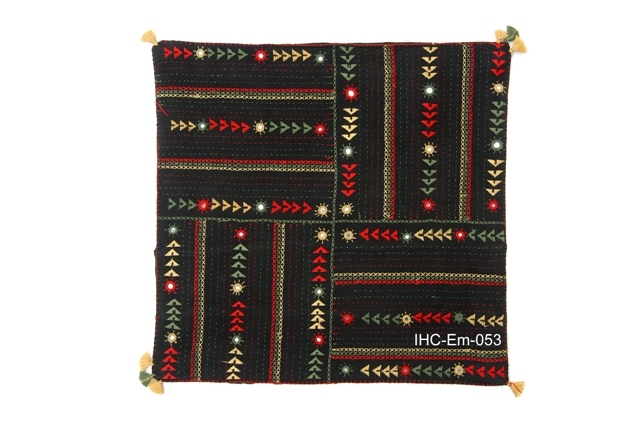 Stitching traditional costumes is a craft performed by Darji community here like clay pots by Kumhar community and making fabrics by Meghwal community and so on. The tailor Shyam ji and his team make modern costumes for men, women and children with cotton and wool handloom and Khadi fabrics, also done with hand embroidery and tie & dye crafted fabrics. 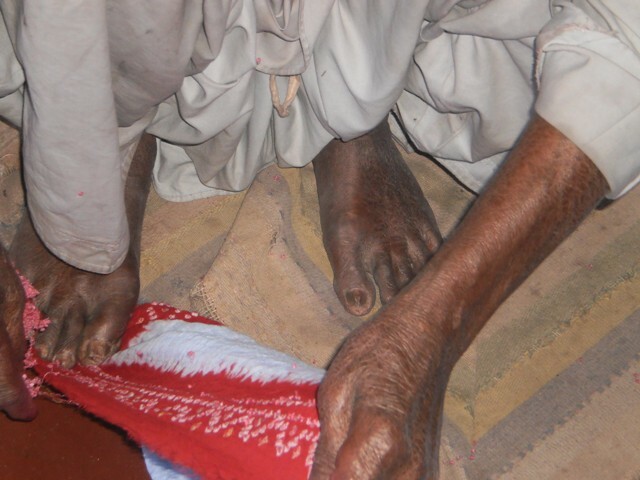 This is a traditional sweater- making craft by women here. Wool threads with the help of knitting sticks are knitted beautifully in the form of a sweater with various patterns. The sweaters made by this way contains the beauty and care of human hand. Buying this, from these producing women, gives extreme pleasure of sympathy for them to the buyers along with the pleasure of wearing a nice sweater. I am getting made one such sweater for me by sister Savitri and Saroj ji.